Tempered chocolate has a shiny, flawless appearance. It feels firm and breaks off with a snap when you bite into it and it melts smoothly in your mouth, allowing you to fully enjoy the flavor. Slowly heating and cooling melted chocolate while stirring puts it into temper. 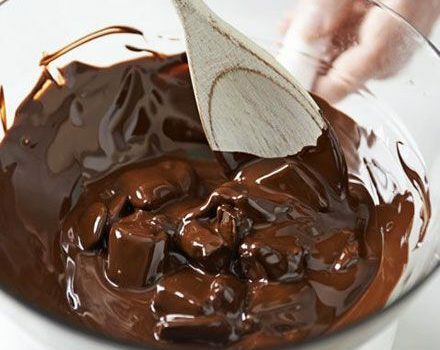 If chocolate is not tempered properly, the cocoa butter crystallization is uncontrolled and uneven, which results in an unattractive chocolate that is dull or has white streaks running through it. Untempered chocolate may feel rough or tacky and have a cakey, almost chewy texture. And it is more susceptible to heat and humidity, melting more easily and spoiling more quickly. Some simple candy recipes do not require tempered chocolate. However, candies such as truffles, dipped chocolates, and chocolate bars require tempering to achieve their signature appearance, taste, and texture. Only nature cocoa butter need to be tempered! Why need to temper chocolate? Tempered chocolate has great favor and smooth finish. Then, how to temper chocolate? 1, Melting; Heat the temperature to about 400degree, so to melt the original cocoa butter block. It’s recommended to use insulated hot water to melt the butter. However, it is important to keep the water away from the cocoa butter. 2, Cooling; Cool down the temperature to 250C degree. There are different ways for cooling. For example, by cycle running cool water, by tablage or by seeding, etc. 3, Heating; Heat the temperature to 300C degree. Do not heat the temperature too high, otherwise, the taste of the chocolate will be damaged; and it will need to repeat above process. The tempered chocolate then can be used for moulding, coating, dipping, etc., for making various chocolate products. SEMMco provides automatic chocolate tempering machine, choose our chocolate tempering machine to make the work of chocolate tempering easy, simple and accurate.